Conducted by social media management platform Hootsuite and global agency WeAreSocial, the Global Digital Report 2019 found there are 49 million mobile social media users in Thailand, or 71% penetration of mobile users, and 51 million active internetsocial media users. There are 92 million mobile subscribers, 133% penetration, and 55 million active mobile internet users. The report put Thailand top in the global rankings of internet banking service access, at 74% of the population, followed by Sweden (71%) and Turkey (68%). The global average was 41%. Thailand ranked second with 9.9% of internet users owning cryptocurrency, behind only South Africa at 10.7%, while Indonesia was third at 9.5%. The global average was 5.5%. 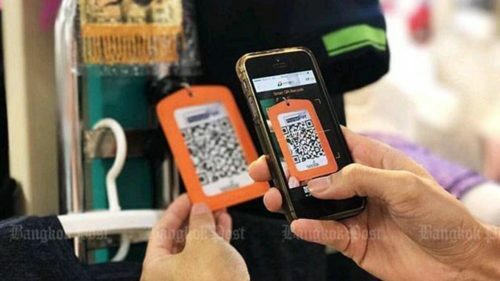 Thailand ranked fifth in e-commerce with 80% of internet users who bought something online via any device, followed by Indonesia (86%), China (82%), Germany (81%), the UK (81%) and worldwide (75%).